Louis Turpin pet dogs: Two Maltese mixes were released to Perris Animal Control following the Murrieta parents arrest. Louis Turpin pet dogs were treated better than the Murrieta, California couple’s 13 brood of sibling children Perry officials say. Previous pets weren’t so lucky. 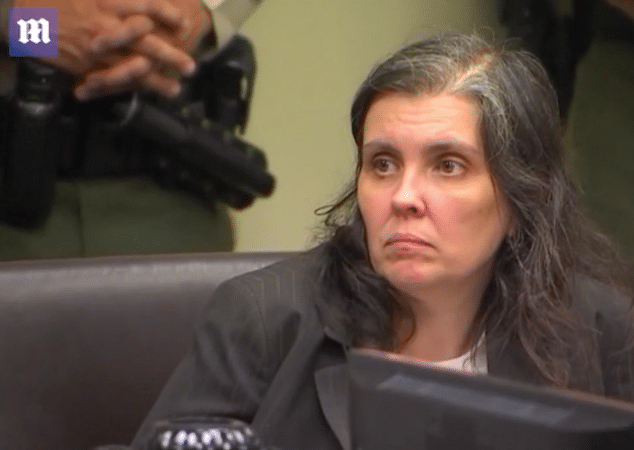 New revelations have told of Murrieta, California ‘horror house’ mother treating her pet dogs better than her 13 brood of sibling children. 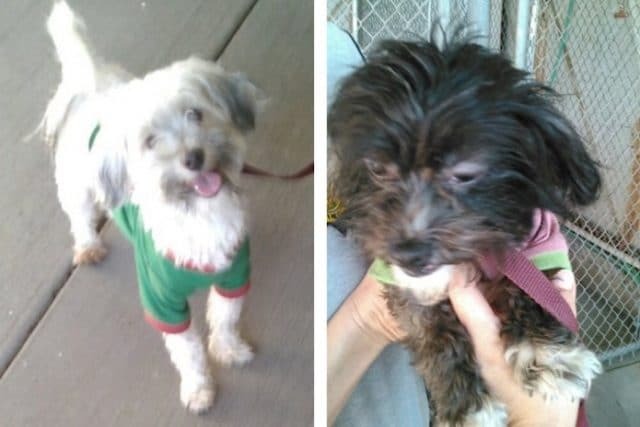 According to a report via The Press-Enterprise, City of Perris spokesman Joe Vargo told of pair of 1-year-old Maltese mixes that belonged to Louise were in ‘good condition’ when Turpin handed them over to animal control following her arrest on Sunday. The pups — one black and one white — appear hale and hearty in photos taken by officials. The city is putting the dogs up for adoption, according to Vargo. Pictured, Louise Turpin as she appeared in court, Thursday. Other animals apparently did not fare so well under their care, including a kitten that was apparently left in a dumpster when foreclosure forced them out of a Rio Vista, Texas, home in 2010, according to the Daily Mail. ‘They had a huge garbage dumpster at their house and we heard a baby kitten crying. We pulled a baby kitty from the dumpster and kept it,’ said former neighbor Shelli Vinyard, whose daughter Ashley tried to befriend three of the older Turpin children, only to be given the cold shoulder once she started asking about their parents. Ashley briefly visited the home when the Turpins still lived there, and said it was like a barnyard inside. ‘I remember there were animal cages and newspapers strewn about on the floor, piles with feces on it. They had dogs, cats and goats,’ she said. Appearing in court on Thursday, David and Louise Turpin pled not guilty to the litany of 38 charges against them. No reason was offered as to the depth of ‘depravity’ and ‘cruelty’ both parents doled out to their children which first began manifesting itself in 2010, the same year David Turpin lost his high paying engineer’s job of $140K with Northrop Grumman. The following year the father filed for bankruptcy, with prosecutors saying the harshness of actions and behavior increasing in severity in recent years, this despite, seemingly ‘happy go lucky’ photos the parents shared on social media. David and Louise Turpin’s next court appearance is scheduled for February 23rd.